Have you ever heard the old saying, you are what you eat? At Native, we know there is plenty of truth in that statement. 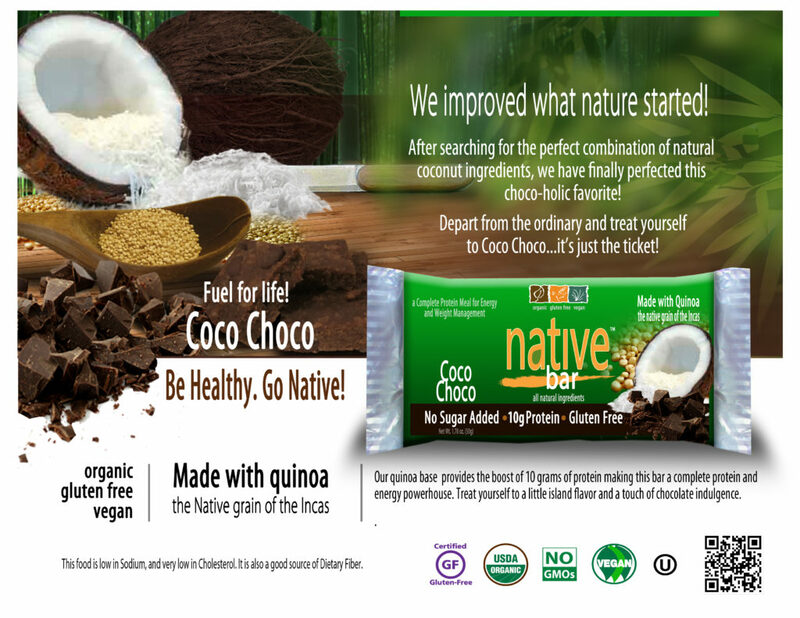 We insist our products are made using only the finest, all natural, ingredients available. 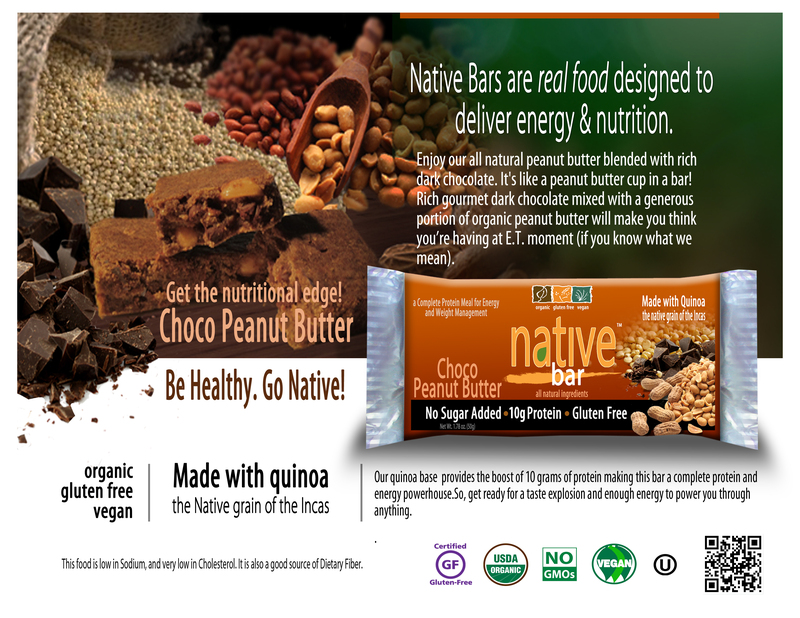 These Native Bars are real food designed to deliver energy and sustenance. 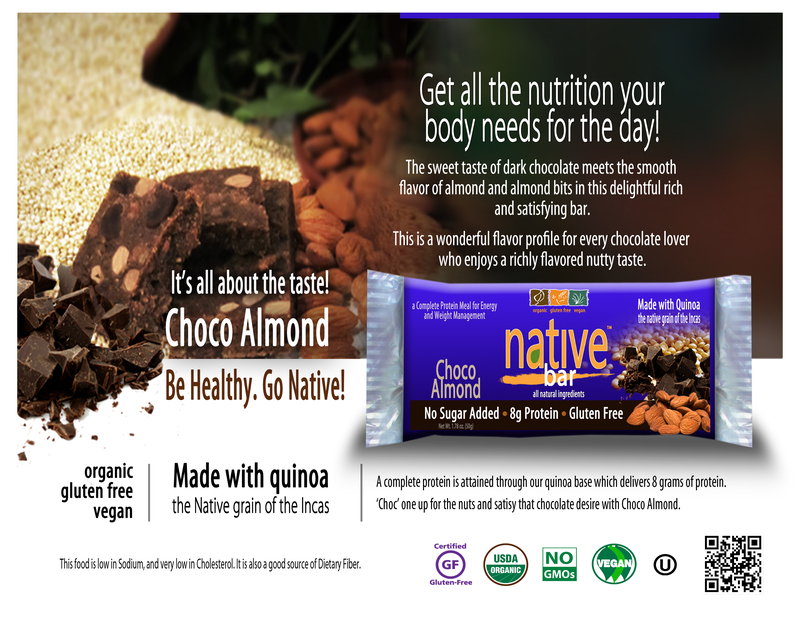 Everyone one of our All-Natural nutrition bars are certified Non-GMO, Gluten Free, Kosher & Vegan, but the best part is the taste…and that’s really saying something! Eating healthy helps you feel healthy! 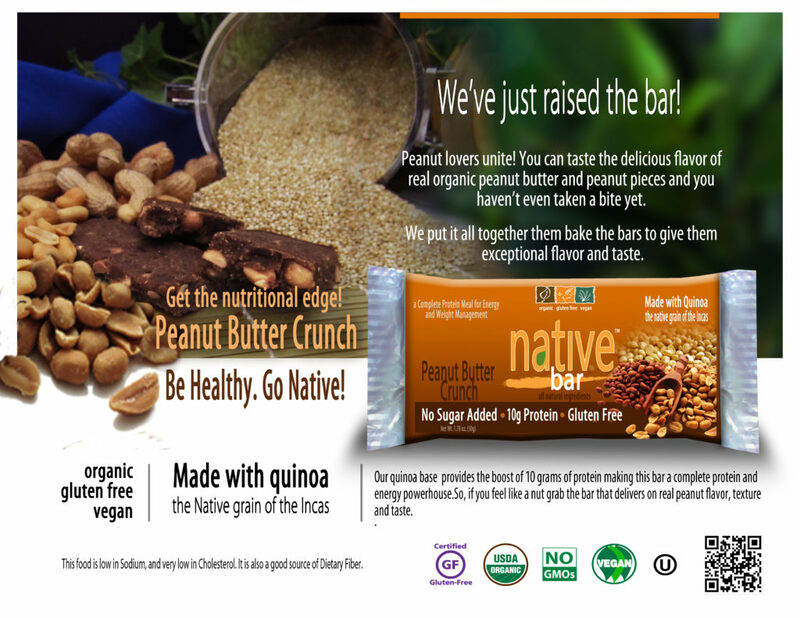 And Native Bars are a perfect solution for eating well, even during a hectic day. Free time can be hard to find and sometimes eating well is the easiest concession to make. However, it doesn’t have to be. 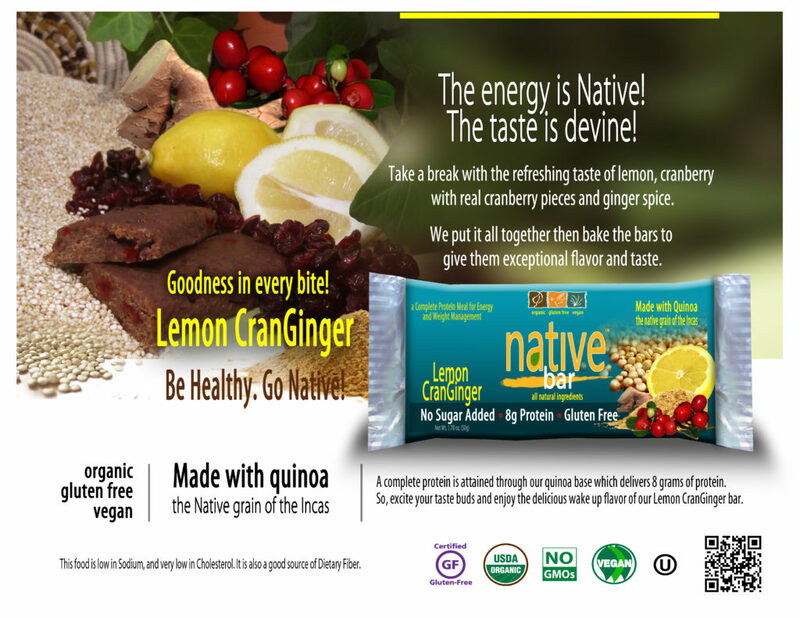 Native Bars can provide some fast energy for your workout or it’s great as healthy gourmet meal supplement instead of the regular “fast-food” options. This exclusive bar offers a unique blend of fresh ground cinnamon, wonderful dark chocolate, combined with roasted organic gourmet coffee beans. If you like creative new flavors combinations, you’ll love this charmingly distinctive indulgence. This is your flavor wake up call! 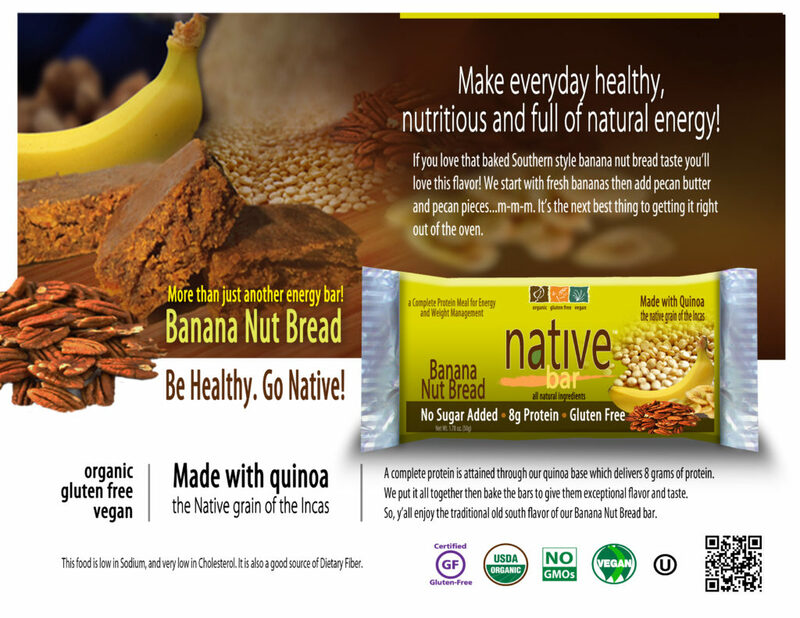 If you love that Southern style banana nut bread taste you’ll love this flavor! We start with fresh bananas then add pecan butter and pecan pieces…m-m-m. It’s the next best thing to getting it right out of the oven. The sweet taste of dark chocolate meets the smooth flavor of almond bits in this delightful, rich and satisfying bar.This is a wonderful flavor profile for every chocolate lover who enjoys a richly flavored nutty taste. After searching for the perfect combination of natural coconut ingredients, we have finally perfected this choco-holic favorite!Depart from the ordinary and treat yourself to Coco Choco…it’s just the ticket! Take a break with the refreshing taste of lemon, cranberry (with real cranberry pieces) and ginger spice.We put it all together then bake the bars to give them exceptional flavor and taste. Peanut lovers unite! You can taste the delicious flavor of real organic peanut butter and peanut pieces and you haven’t even taken a bite yet. We put it all together then bake the bars to give them exceptional flavor and taste.